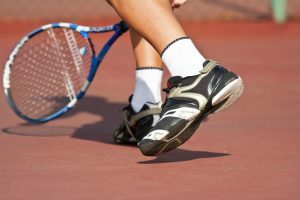 Millions of people all over the world enjoy tennis as a past time, and some even play professionally. 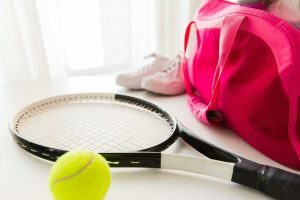 Like you might bring a gym bag when you work out, it’s not uncommon to see tennis players carry their equipment in a tennis bag. Frequently, the bags carry multiple racquets, tennis balls, shoes, towels, and clothing. We’ve taken a look at five tennis bags and compared them against each other to see how they perform, so you can make an educated decision when choosing the best bag for your game. How to Pack a Tennis Bag? What to Put in a Tennis Bag? What is a Tennis Bag? How to Clean the Tennis Bag? Tennis Racquet Bag or Backpack? 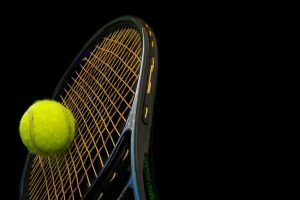 The HEAD brand is known throughout the tennis community and is listed as one of the top brands that even professionals use. It’s not just the racquets, though. Their tennis bags are just as promising and make up for the first bag that’s being showcased on our list. 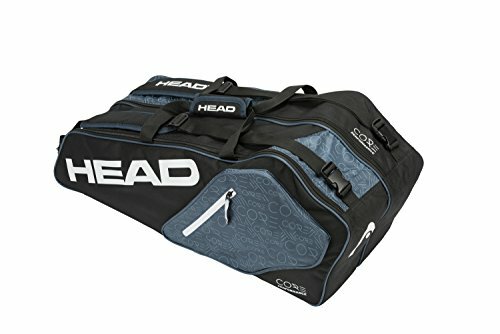 What’s so unique about the HEAD Core 6R Combi Tennis Bag? Keep reading to learn about its specifications and how it ranks against all of the other bags it gets compared to throughout this list. For the most part, tennis bags are simple and so is the Core 6R Combi. It’s an excellent choice if you need to carry around your tennis racquets, clothing, shoes, and accessories. 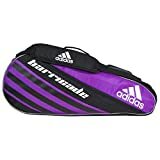 It has two main compartments that let you fit up to six racquets depending on the size, and each side of the bag has two smaller pockets for your accessories. The bag also has two adjustable straps for your shoulder that are padded, and comes with a carrying handle to make it easier for you to travel around with your tennis-playing essentials. There are a lot of things that need to be carried when playing tennis, so I enjoyed the size of the bag which made it easy to carry around extra racquets, water bottles, towels, and everything else that’s needed for a game. I also like the padded straps and found that they didn’t dig into my shoulder when carrying around additional weight. The price point is also easy to get on board with, especially given the high customer reviews. Also, the smaller pockets at the side make it a breeze to reach all of my accessories without any hassle. One of the biggest disappointments with this bag is the build itself. The material seems to be on the cheaper side, and the construction of the bag made it not entirely suitable for heavier items, leaving its durability in question. There isn’t any padding around or under the bag, so setting it on the ground causes the stitching to fray which I wasn’t a fan of, either. Bringing in the second tennis bag on our list, we’re going to look at the Wilson Match II Racquet Bag from the world renowned Wilson brand. Like HEAD, Wilson provides quality racquets to tennis players of all skill sets and offers brand deals to professional tennis players all over the world. It was only natural to assume that you’d find Wilson on the list somewhere, so let’s take a look at what this bag has that some of the others might not. The Match II racquet bag is the perfect option for all recreational players who need a suitable amount of space to carry their equipment and extra gear to courts, classes, or the gym. 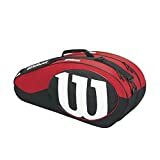 The bag has two larger compartments that store up to six rackets, depending on their size, and it also has a pocket at the front for extra accessories. Also, the racquet bag comes in unisex colors of black and red, and it has padded shoulder straps that can be removed and middle and end handles for effortless carrying. I love that this racquet bag fits six racquets, but found its better suited for four racquets (less if your racquets have covers) when including extra items like balls, towels, water bottles, etc. The bag is good in wet weather and stays dry, and has a lot of room for everything needed to play tennis for hours. The padded shoulder straps are also a great addition, and being able to remove them when wanted is a convenient feature, while the cost is affordable and within reach of the average person. Ultimately, the bag gets the job done but depending on how much you play tennis and carry around your accessories, investing in something more durable might be a better option. The material is thin, and there isn’t a lot of padding to absorb dropping the bag on the ground or into the trunks of cars. There also didn’t appear to be an inside pocket which was a severe disappointment, as it was described to include one. Making it halfway through the list is quite the feat, and we understand that choosing the best tennis bag isn’t always easy. To break things apart, we brought in the Fila Ultimate Tennis Bag to compare it against brands that are known for being primarily all about tennis. 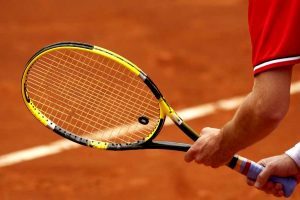 Every player with a racquet needs to have the proper gear to carry it around, but is it required that you buy a brand known for its tennis equipment? Or can you get something just as good by a regular sporting brand like Fila? Regardless of the racquet sport that you play, the Fila Ultimate Tennis bag is going to give you what you need. There are plenty of zippered pockets to carry around the accessories that help you play tennis, squash, racquetball and other racquet sports to the best of your ability. Insulated pockets help to keep your drink cold, while dual and separate racquet sleeves allow you to carry two racquets just in case you need to bring one for a friend, or you break one. Additionally, the bag has an air mesh back for your comfort, a shoe pocket, a padded comfort shoulder strap, and a tricot lining pocket specifically for media accessories. 2 RACQUETS ARE BETTER THAN 1 - Dual, separate tennis racquet sleeves let you carry two racquets. 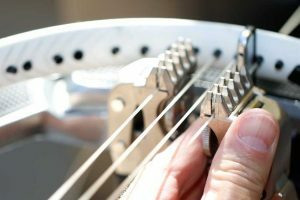 Play your best knowing you have a spare with you in case your strings break. Added bonus: walk around like a ninja warrior. STAY COOL - The insulated pocket keep your favorite drink nice and frosty so you can recharge in between your points and games. No need for a separate drink cooler. DESIGNED FOR RACQUET SPORTS - Whether you play tennis, racquetball, squash, pickleball or other racquet sport, there are plenty of pockets for your accessories. Use the top section for quick access to keys, cell phones and glasses and organize your other things like grip, ball cans and towels in the other areas. TAKE YOUR GAME WHEREVER YOU GO - Travel light with this backpack that carries all of your gear. Take it traveling or to work knowing you'll always be ready for a challenge. So far the Fila Racquet bag has beaten all of my expectations. It’s very affordable for everything you can do with the bag and for the multipurpose product that you get. It’s made of a durable material; the pockets are easily reached and kept closed with zippers. The insulated pocket is also another great feature as I’m someone who likes to keep my drinks cold and the padding around the bag is a nice addition that keeps me from worrying about snagging the stitching. The added shoe compartment at the bottom of the bag is also a feature that I like. There were a couple of things I noticed when using the Fila bag and comparing it to some of the others. The designated drink pocket isn’t designed to fit a standard water bottle, but the lining does expand to hold your drink. I also didn’t care for the nylon material used in the shoe compartment and felt like it wouldn’t last long and also that it restricted sizes. 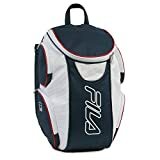 This Fila bag is heavier than some of the other racket bags too, and I noticed that the zipper on the main compartment didn’t appear to be as durable as the others. The fourth racquet bag on the list comes from Adidas. While they aren’t a brand that’s overly known for their tennis equipment, Adidas is known for sporting equipment all over the world and made sure everyone knew it with the grand design of the Barricade. As a fan favorite and such a highly rated piece of gear, we needed to see what all the fuss was about and take a look at it for ourselves to see if the upgraded model beat previous editions of the racquet bag. The Adidas Barricade racquet bag was designed to get the most out of your game experience. It was designed to hold up to three racquets, depending on their size, and has a sporty design that suits both males and females. It showcases a variety of Adidas logos on the bag, has a padded handle and shoulder straps with EVA padding and adjustable buckles. Also, trademarked Climacool technology provides added comfort when carrying the bag. The main compartment lets you safely store racquets, clothing, and extra gear and a pocket with tricot lining protect your media accessories. Adidas added a freshPak ventilation package to pack up soiled clothing and items until you get home. Outside of the consumer reviews and the decent price tag for this nice-looking racquet bag, there were a lot of features that I liked. The Climacool technology was one of my favorites because it was nice to not sweat beneath the bag. I also love the freshPak addition to the carrier; there’s nothing worse than mixing sweaty and soiled clothes with other accessories. The extra pockets let you carry a lot of extra balls. The racquet bag didn’t seem to be as padded as advertised and some larger phones seemed to have difficulties fitting into the media pocket. I also found that the construction wasn’t as durable as what I expected it to be, and question how long it’s going to hold up. Also, the compartments were tight with two racquets inside of it, so I wasn’t sure how to fit a third. 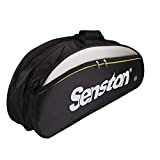 The final tennis racquet bag on our list is from Senston, and due to the affordable price tag, high customer reviews and status as an Amazon Choice, there was no way that we could leave it out. We compared the Senston bag against all of the others in the same way and used tennis racquets instead of badminton racquets to judge size. What did we find? Let’s take a look. Senston’s racquet bag was made out of polyester PU materials and has a large capacity, and two main pocket bags. Depending on the racquet that is used, the amount the bag can carry differs. Between 5-6 badminton racquets fit in the carrier while 3-4 tennis racquets fit. The bag was also designed with auxiliary holes and proper ventilation to keep things fresh. It comes in three different colors and also has three different secondary pockets to help store accessories. Dimensions: L: 28.34" x H: 11.4" x W: 7.1"
Large-capacity, two main bag, three secondary bags. 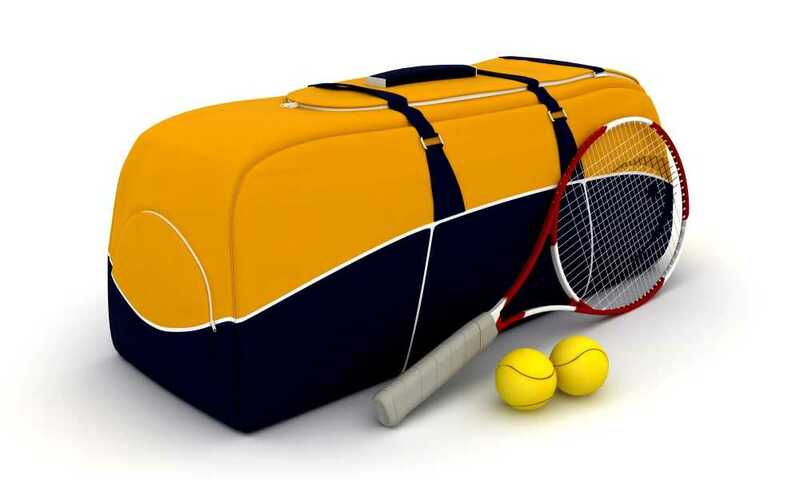 It can accommodate 5-6 badminton racquets and 3-4 tennis racquets, or jackets and shoes. What I felt was most convenient about this bag was the fact that it’s okay to be used with different racquets. Also, the variety of colors is an excellent change from some others, and the price point is right. The ventilation is another favorite feature of mine as so many other bags have none. The two pockets along the side don’t have a divider, and the shoulder strap is uncomfortable because there isn’t much padding. I also suggest purchasing vertical water bottle holders if you want it to hold your water, and the fabric is quite thin, which could question its durability, and the packaging could have been better. Making informed decisions is what’s going to get you the best tennis bag to go along with all of the other tennis equipment that you’ve purchased along the way. Just like racquets, you can find many bags on the market, and the choices could be overwhelming if you don’t know what to look for. 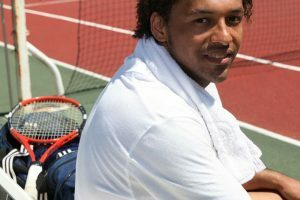 Having the best equipment is going to heighten your tennis playing experience, and has you walking onto the court like a professional player, even if it’s your first day of training. There are a variety of tennis bag sizes that range from 3-packs all the way up to 15-packs, and that’s not including the backpacks or shoulder totes that also store your racquets for easy carrying. The size of the tennis bag that you want to purchase is going to depend significantly on your game and the intensity that you’re playing it at. It’s also going to depend on the number of accessories and extra balls that you have with you. Shoulder totes, backpacks, and 3-packs are typically recommended for beginners or players who aren’t frequently on the court. Anything larger than that should be used by players who participate in tournaments or who play on a professional level. When you’re determining the weight of the racquet bag that you’re going to purchase, the best thing to do is look for one that is lightweight, but not flimsy. 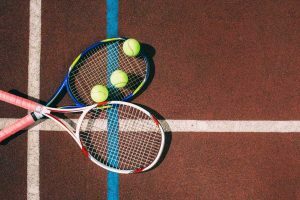 You don’t want to exert too much energy while you’re lugging your equipment to the tennis court, but you also don’t want it to be too light that you wonder if it’s going to fall apart. It’s important to look at the weight with gear inside of it, when it’s empty, and consider the material used, as well as the frame. The materials used in the construction of the tennis bag are essential and something that you should pay close attention to when you’re buying the bag. You want to ensure that you purchase something that is durable and lightweight, so you aren’t using up all of your energy, and so you aren’t concerned that the bag won’t hold all of your equipment. Also, it’s smart to look for material that is protected against the weather, waterproof, and has some ventilation, so the fabric isn’t absorbing the smells caused by soiled clothing or shoes. It’s also a good idea to make sure your tennis bag won’t sweat. Another thing to think about when understanding how to buy the perfect tennis bag for you is the style. Racquet bags come in a variety of styles like duffle bags, backpacks, carrying bags, and even totes, and you get to choose which one you like best. Some high profile, professional tennis players, even has signature bags that are available for fans to purchase under a specific branding deal. Along with style, you also get to look at colors. Racquet bags are available in classic color combinations that don’t draw too much attention, while others come in bright and playful colors that let your personality scream through and catch the eye of all other players as soon as you walk onto the court. Your racquet of choice probably came with a cover, and now you need a bag to carry it all around. Favorite brands that offer racquet bags are Prince, HEAD, Babolat, Volkl, and Wilson if you’re loyal to a specific tennis brand. Also, you can find sporting brands such as Adidas and Fila that sell great tennis bags to keep in mind. When packing a tennis bag, your racquets should go in the largest compartment while your accessories should fit into the smaller pockets at the side. Stick media accessories into their devoted pocket, shoes into specific compartments, and soiled material into a pouch that separates from everything else – especially your drinks. 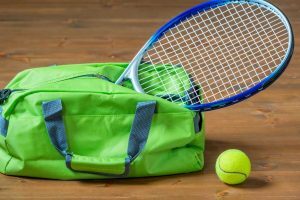 Packing your tennis bag is relatively easy; you just need to think about what you need to carry around with you for your tennis game. First and foremost, you should pack your rackets, because you won’t get far without them. Additional items to pack are a towel, hydration such as water or sports drinks, grip reels and tape, extra clothing, jump rope, foam rollers, string reels, resistance bands and tennis balls. A tennis bag is similar to a duffle bag that you would use for camping or weekend trips. You can store your racquets, shoes, clothing, towels, and all other equipment required to play your game of tennis in the bag. Cleaning your tennis bag is going to depend on the type of material that was used to construct the carrier. However, as a rule of thumb, it’s safe to wash out your tennis bag with warm water and soap. Keeping it clean is going to protect your tennis equipment for longer, and help the material from absorbing any unpleasant smells. Players who are at a high school or training level can typically get away with using a backpack because mostly they just need to bring their racquet and trainers provide balls. However, if you play tennis on a more consistent basis, it’s recommended that you invest in a bag because it can prove to be lighter in the long run by providing weight distribution and it stores more of what you need for your game. Comparing tennis bags against one another has been a fun job, and we put them to the test with these five fabulous bags. We looked at a variety of things such as which bags can hold a range of racquets, which are the lightest, and which come with the most pockets and features. After going through them all, we happily chose the Fila Ultimate Tennis with Shoe Pocket as our ultimate choice for the best tennis bag. It’s designed for an array of racquet activities, keeps your drinks cold, has a shoe compartment, and is lightweight enough to make traveling easy. The price is affordable, so looking for an alternative isn’t something that needs to be done. If you’re looking for a good tennis bag, we recommend this one any day of the week.